If you`re an average working man or woman in the US, you probably know what is a penny and how one looks. But how much does it really cost to make it ? Without giving it too much thought you’d say it shouldn’t cost more than the actual penny value. This isn’t the case, it costs more making a penny than its value. Why would the US government spend more to make a penny than it would get from its value ? It’s easy: the coin will be used in a lot of transactions, so the cost does worth it when you think about it. So yes, the coin’s face value is less than its actual value, because it actually costs 2.41¢ US ($0.0241 US Dollars (USD) to be exact) to make each penny. The face value of this coin was exceeded by it’s cost for the first time in 2006. This was due to a decision at the United States Mint, the agency of the government that prints money and strikes new coinage for the US, when the composition of the penny was reconsidered. The parts that are having the biggest impact on the final cost of making a penny are the materials that are used to make it. 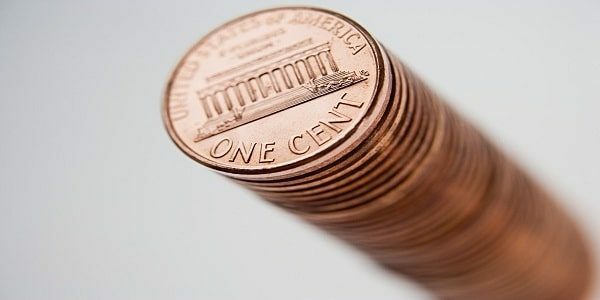 Pennies have that distinctive coppery color because they contain 2.5% copper. The other material used is zinc, 97.5% of a penny. The cost of metal extraction is much higher than in the past, because of all the new regulations of mining. This has made the prices of the metals used to make a penny rise dramatically in the early 21st century. In an attempt to make the coins cheaper, the European Union used for its currency plastic in the composition of their coins. This could be something that the US government could do in an attempt to lower the cost of making pennies. This coin still remains iconic for the American people so attempts to changing its composition have met serious opposition so far. Another way of resolving the issue with the cost of making a penny would be to do away with this coin altogether. This could have a very big impact in the way people do business in the US, because phrases like “It only costs a penny” would have no meaning anymore. The penny isn’t the only coin which costs more to make than to own, the nicked also has a face value lower than the physical cost of making. A nickel costs around 11.18¢ US to make. All of the other coins, like dimes or quarters, cost less to make than to own. To make a quarter, the US government spends around 11.14¢ US and the quarter has a face value of 25¢ US. Many US citizens believe that the costs of making pennies and nickels is balanced out by the lower costs of producing all of the other coins. Each time the price of the materials will rise, the cost of making pennies will also rise. The Mint will have to take some tough decisions soon, because it’s very unlikely that the cost of producing a penny will ever fall below 1¢, and more pennies are being made each year. Many other government agencies from around the world have been financially accountable for distributing something that has a lower value than its manufacturing cost, so there’s a possibility that this will happen to the Mint also. This can only mean that pennies and nickels will suffer some changes to address this issue, soon, whether Americans like it or not. It wouldn’t be the first time the penny will be changing; it happened before in 1943, when the Mint made pennies using steel, because copper was hard to get due to wartime demand. So would we ever spend that much to make a coin? We wouldn’t and you shouldn’t also. It is illegal to make a penny, a nickel or any other types of coins or paper money without proper licenses. Is it fair to spend more to make a currency than its final face value? If you take into account that the coin has to be durable to last years and years, then its creation price is legitimate. How Much Does Plan B Cost? How Much Does A Tattoo Cost?